diyeti doğru şekilde uygulayabilmiş hastalar belirlenmiştir. hematolojik bulgular, trombositoz ve anemi olmuştur. diagnosis and 6 months after the gluten-free diet. 1. Guandalini S, Setty M. Celiac disease. Curr Opin Gastroenterol. 2008;24:707–12. 2. Setty M, Hormaza L, Guandalini S. Celiac disease: risk assessment, diagnosis, and monitoring. Mol Diagn Ther 2008;289–98. 3. Harper JW, Holleran SF, Ramakrishnan R, Bhagat G,Green PH. Anemia in celiac disease is multifactorial in etiology. Am J Hematol 2007;996–1000. 4. Jones S, D’Souza C, Haboubi NY. Patterns of clinical presentation of adult coeliac disease in a rural setting.Nutr J 2006;24. 5. Halfdanarson TR, Litzow MR, Murray JA. Hematologic manifestations of celiac disease. Blood 2007;412–21. 6. Morello F, Ronzani G, Cappellari F. Migraine, cortical blindness, multiple cerebral infarctions and hypocoagulopathy in celiac disease. Neurol Sci 2003;85–9. 7. McNeill A, Duthie F, Galloway DJ. Small bowel infarction in a patient with coeliac disease. J Clin Pathol 2006;216–18. 8. Croese J, Harris O, Bain B. Coeliac disease. Haematological features, and delay in diagnosis. Med J Aust 1979;335–8. 9. Carroccio A, Giannitrapani L, Di Prima L, Iannitto E,Montalto G, Notarbartolo A. Extreme thrombocytosis as a sign of coeliac disease in the elderly: case report. Eur JGastroenterol Hepatol 2002;897–900. 10. 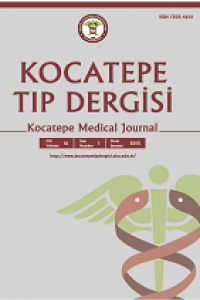 Çatal F, Topal E, Ermiştekin H, Yildirim Acar N, Sinanoğlu MS, Karabiber H, Selimoğlu MA The hematologic manifestations of pediatric celiac disease at the time of diagnosis and efficiency of gluten-free diet. Turk J Med Sci. 2015;45(3):663-7. 11. Mohamed M.Functional hyposplenism diagnosed by blood film examination. Blood. 201418;124(12):1997. 12. Goyens P, Brasseur D, Cadranel S. Copper deficiency in infants with active celiac disease. J Pediatr Gastroenterol Nutr 1985;677–80. 13. Voigt W, Jordan K, Sippel C, Amoury M, Schmoll HJ,Wolf HH. Severe thrombocytosis and anemia associatedwith celiac disease in a young female patient: a case report. J Med Case Reports 2008;96. 15. Yuksel O, Helvaci K, Basar O, Koklu S, Caner S, Helvaci N, et al. An overlooked indicator of disease activity in ulcerative colitis: mean platelet volume. Platelets. 2009;20: 277–81. 16. Mimidis K, Papadopoulos V, Kotsianidis J, Filippou D,Spanoudakis E, Bourikas G, et al. Alterations of platelet function, number and indexes during acute pancreatitis. Pancreatology. 2004;4:22–7. 18. Maurizio G, Angelo S, Giovanni G, Paolo P, Antonio G.Latent coeliac disease, hyperhomocysteinemia and pulmonary thromboembolism: a close link. Thromb Haemost 2003;203–4.